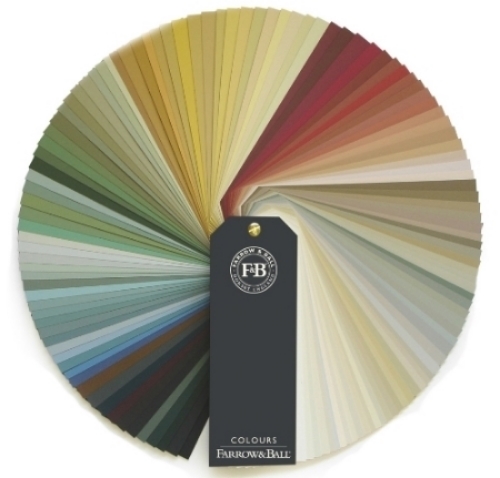 Are you a fan of Farrow & Ball? I have a soft spot for the mostly mellow (though occasionally bold, I'm looking at you Charlotte's Locks) hues in the Farrow & Ball collection. In my freelance practice I am often creating reports, press releases and web sites for clients. When choosing colours for the graphics I think in paint colours, not Pantone. I have found myself thinking "No, that's not quite right, I want that colour to look more Hague Blue." The folks at e-paint.co.uk have answered my prayers with a complete list of RGB and Hex colour matches for the Farrow & Ball collection. So handy, right? When designing a doc and choosing the colour, just copy and paste the Hex code or RGB values into the appropriate fields and you are good to go. It's especially great for e-newsletter or resume designs aimed at the design community — since most of us speak Farrow & Ball more than RGB. And speaking of wrapping your life in Farrow & Ball, why not cuddle up with some at night, too? Parisian linens company Lab Boutique introduced a line of pure linen bedding custom dyed to match Farrow & Ball colours a while back. Looks like it might be discontinued, but you can still grab a Hague Blue duvet cover. So dreamy. BTW, after a recent seminar with the queen of DIY and Chalk Paint, Annie Sloan, I discovered that it's dead-easy to dye linen. Watch for a DIY post coming to this very blog. I'm fairly obsessed.